Green Energy & Environment (GEE) is a peer-reviewed international and interdisciplinary journal for the publication of important and qualified research related to all aspects of green energy and environment, such as biofuel and bioenergy, energy storage and network, catalysis for sustainable processes, and materials for energy and environment. The scope of GEE is very broad, and GEE particularly welcomes work of original, novel fundamental, and engineering research. At the same time, GEE tries to provide a platform for the discussion, summary, review, and preview of the green energy and its impact on the eco-environment. GEE is founded by Institute of Process Engineering, Chinese Academy of Sciences (IPE, CAS) and Science Press. For queries, please contact gee@ipe.ac.cn. 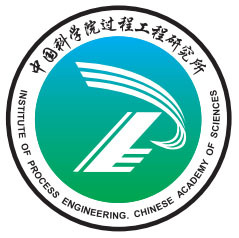 Institute of Process Engineering, Chinese Academy of Sciences (IPE), formerly the Institute of Chemical Metallurgy of Chinese Academy of Sciences, was founded in 1958. The name of the institute was changed to present one in 2001. The present director is Prof. Suojiang ZHANG. For over half a century since its foundation, the institute has extended the research fields from chemical metallurgy to process engineering. A series of core technology were generated in fluidized bed, hydrometallurgy, coal topping, decoupling combustion, solid state fermentation, bio-media, nano-technology, unconventional green process and large multi-scale computing and modeling platform. IPE has successively carried out the frontier researches on multi-scale simulation of multi-phase complex systems, integrated cleaner production technology for hydrometallurgical processes, demonstration project of integrated utilization of straw, ionic liquids and cleaner energy, comprehensive utilization of coal topping, the integration technology of nano/macro-structured ceramic protection coating for the steel billet at high temperature and preparation and application of size-controlled microspheres and microcapsules. IPE has State Key Laboratory of Biochemical Engineering, State Key laboratory of Multiphase Complex Systems, National Engineering Laboratory for Hydrometallurgical Cleaner Production Technology, National Engineering Research Center for Biotechnology (Beijing), Beijing Key Laboratory of Ionic Liquids Clean Processes and Beijing Key Laboratory of Biomass Refining Engineering. For detailed information please visit http://english.ipe.cas.cn/. Recently published articles from Green Energy & Environment.